I don’t get the point [of Hans Wetzel’s article]. Instead of buying a new NUC for some $$ more and installing the freely available Roon Optimized Core Kit, the author complaints about crappy hardware and some crappy Windows 7 installation. A comparison in terms of sound quality between a Nucleus and a standard NUC would have been far more interesting. I enjoyed your review of the KEF Q750. I am a music lover and a novice audiophile and wondered if you could answer a question or two for me. I have an Onkyo TX-NR545 receiver that is rated at 65Wpc minimum at 8 ohms and 115Wpc at 6 ohms. Do you feel this would efficiently power the Q750? I am considering the KEF Q750 or Paradigm’s Monitor SE 6000F. Any thoughts or recommendations? Thanks for your time. I will let you get back to more important things. Of the two speakers you mention, I’d opt for the Q750 every day of the week, if only because I know it so well. I don’t think anyone could go wrong with that loudspeaker, though it’s worth noting it doesn’t offer super-deep bass. As for your Onkyo, I think its 65Wpc into 8 ohms should be sufficient for you to push the 88dB-sensitive KEF to play fairly loud. Definitely spend the money on getting the speakers you want, and deal with amplification later, and, even then, only if you are not satisfied with the resulting sound. I read what I’ll call your glowing review of the KEF Q750s. I currently have KEF LS50s, and I’m thinking of upsizing to floorstanders. I’m hoping for a bit more output and a bit more bass. My system runs half music and half television/movies. I have a Parasound Halo Integrated, and also a sub. I’m curious what your thoughts would be? I’m also considering Monitor Audio Silver 300s, but I’m concerned with the cabinet height -- I may need to put them on short stands. The Uni-Q driver in my LS50s allows the tweeters to be lower than my ears without any negative consequences. I assume the Q750s would perform similarly even though they are also on the short side. Thoughts? I appreciate your time and opinion! If you like KEF’s LS50, I think the Q750 is the floorstanding loudspeaker that you’re looking for. The Q750 will no doubt play louder and have greater bass extension than the LS50, while also retaining the qualities that KEF is known for: neutrality, great off-axis performance (thanks to the Uni-Q), and strong stereo imaging. And while I think the Monitor Silver 300 is a great overall speaker, and looks way better than the Q750, in my opinion, it won’t sound like the LS50 or the Q750, for better or worse. I think you should go with what you know. What would be your take on hooking [Dynaudio’s Emit M10 speakers] to either a Yamaha A-S801 integrated amp or an Outlaw Audio RR2160 receiver? Also, [should I use] the Cambridge Audio CXC disc drive with the 32-bit DAC on the Yamaha? Bowers & Wilkins 704 S2 or Something Else? I read your review [of the Bowers & Wilkins 704 S2] and wanted to ask you if you would recommend another speaker versus this one. I just started looking and am not sure I want to pay the price for these. I am not an audiophile as I don’t follow all the technicalities of the hardware and of sound, but I do like to listen to music and movies with a great sound system. Any other suggestions of speakers to look at? I listened to the B&W through a Marantz receiver. Would appreciate your opinion and suggestions on a receiver, as well. My old Boston Acoustics [speakers] need a new home. 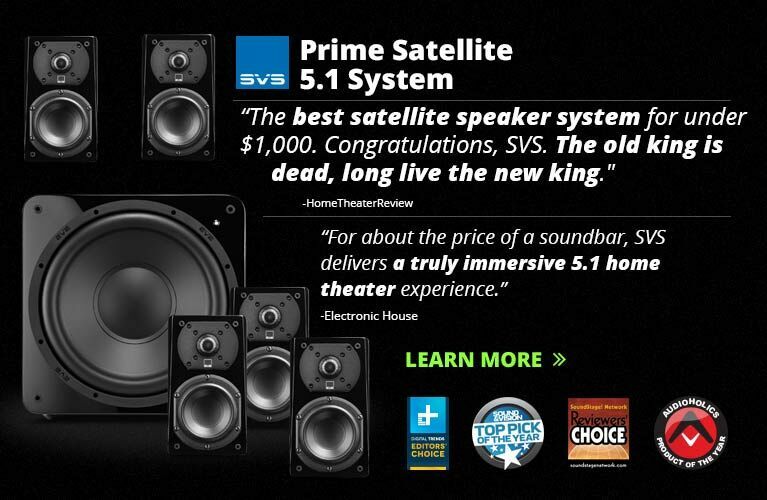 Lucky for you, I’ve reviewed several tower loudspeakers in the past nine months that range in price from $1500 USD/pr. up to the B&W’s $2500/pr., so I definitely have some suggestions for you. I was bowled over by the sound of KEF’s Q750, which at $1499.98/pr. is a heck of a lot cheaper than the 704 S2, and is probably what I would buy if my money were on the line. It’s not built nearly as well as the 704 S2, mind you, so that partly accounts for its much lower price. You mention that you are looking for something to watch movies with, and so you might want something with deeper, punchier bass than what the KEF can muster -- Monitor Audio’s Silver 300 offers just that, and for only $500 more than the Q750. The Silver 300 looks a lot more handsome than the Q750, too, what with its classy real wood veneer. My dark-horse suggestion for you is Definitive Technology’s BP9060, which retails for $2198/pr., but can probably be had for significantly less than that if you shop around. I have not reviewed the BP9060, but I have heard it and also have quite a bit of experience with other Definitive Technology models, including the Demand D9, which I did just review. The BP9060 doesn’t look particularly fetching, yet it packs a powered 10” subwoofer into its cabinet for maximum slam, and unlike most of its competitors, has speaker drivers on the front and back of its cabinet, helping the BP9060 create a huge, immersive soundstage. 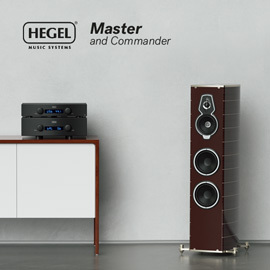 I’d see if you could listen to the KEF and Monitor (as well as any competing products in stock) at a local dealer, while the Definitive Technology should be in stock at your closest Best Buy Magnolia location. I read your article about the KEF Q750 speakers with great interest. Since you claimed that you have listened to many KEF models over the years, I was curious if you have also heard the Q950 as well as the R900. Here in Germany the R900 costs double the price of the Q950 and I was wondering which one you prefer and if the R900 is worth the extra money. What made me especially curious about a comparison of the R900 with the Q950 is the fact that they seem similar but have very different approaches. While the R900 has a D’Appolito assembly, the Q950 takes a conventional two-and-a-half-way approach with only one bass driver driven (the other two fulfill the same job as a port). Also, the Q950 has a lot larger coax driver -- 8” [in diameter] compared to the 5” [diameter] of the R900. Some people said that the R700 has a smoother transition between its drivers, especially if you are standing off center, than the R900 due to the wider baffle. I was wondering if KEF tried (and managed) to tackle that problem with a bigger coax driver (or what the reason is for using such a big driver). Also, the R900 has no separate enclosure for the coax, while the Q950 has. Good questions. 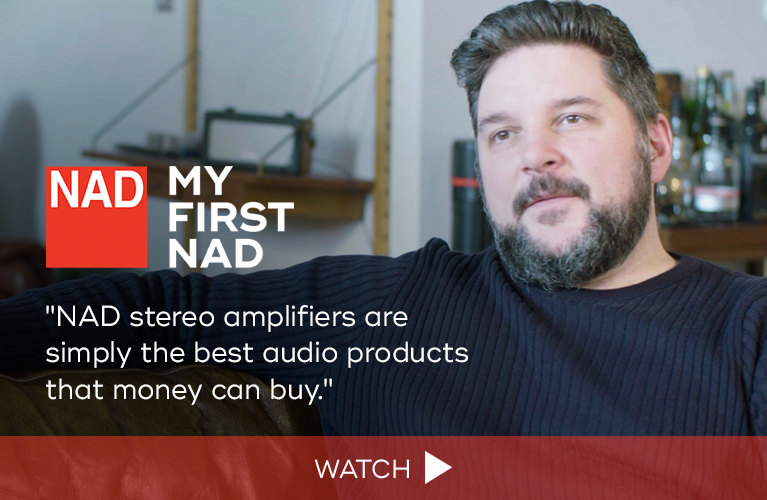 I previously owned the R900, and my brother and fellow SoundStage! reviewer, Erich Wetzel, currently owns a pair, so I’m intimately familiar with the design. I can’t say the same for the Q950, but KEF is usually pretty good about maintaining the “voicing” of their speakers across a given product line, so it’s probably safe to assume that the Q950 sounds very similar to the smaller Q750, which I reviewed, albeit with greater bass extension and greater output abilities due to its larger woofer, passive radiators, and cabinet. Regarding the R900, it does not use a D’Appolito arrangement, as its single midrange cone -- part of KEF’s coaxial Uni-Q, which also incorporates a tweeter in the center of the cone -- sits in between two woofers, as opposed to a traditional D’Appolito setup, which relies on a pair of separate midranges (or midrange-woofers) sandwiching a tweeter. Aside from its coaxial tweeter-midrange drive unit, the R900 is a fairly traditional, ported three-way design. Most of KEF’s three-way loudspeakers, like the R900, use a Uni-Q that is around 5” in diameter. The differences seen in the Q750 and Q950 have more to do with price and design than anything else. As two-and-a-half-way loudspeakers, the Uni-Q in the Q towers is responsible for both midrange and bass frequencies, and KEF has tailored the cabinet, vis-à-vis the separate internal enclosure for the Uni-Q, to balance midrange clarity, bass output, and bass control. Likewise, the use of passive radiators is a function of maximizing bass output and control on a budget. It’s telling that none of KEF’s more expensive loudspeaker designs make use of passive radiators. I am guessing that KEF chose to make the Uni-Q, woofer, and passive radiators in each of their Q towers the same diameter to allow for uniform dispersion and wave-launch behavior. Which Affordable Tower Loudspeakers to Buy: Elac, Paradigm, Q Acoustics? I am in the market for a pair of affordable, three-way tower speakers to be used primarily for music, with a little TV stereo sound thrown in. And I have a question. First a little background. My current music setup includes a 1987-vintage Yamaha RX-700U stereo receiver, a pair of 1996-vintage Paradigm Titan V1s, and a Paradigm PDR-10 subwoofer. I use a Chromecast Audio device hooked up to the Yamaha receiver’s CD analog input to stream music from my iPhone. I plan on purchasing a Schiit Modi 2 Uber so that I can play FLAC files stored on my computer through the Yamaha receiver. I also plan on using my Xbox One’s TosLink output, connected to the Modi’s TosLink input, to play the occasional CD, and for TV stereo sound. Due to the disappearance of the type of audio store where I originally bought my receiver and speakers (you know, the type of place that had a decent listening room and knowledgeable sales staff), I am largely trying to decide on what speakers to purchase by reading reviews. I would like the speakers I buy to have enough low end to make a subwoofer unnecessary for music playback (I am not a bass head). This leads to my question. Is there more to low-frequency extension than is shown by the -3dB low-frequency measurement? I understand one speaker may have muddy, bloated bass, while another can have taut, punchy, fast, accurate, articulate bass (just a few of the adjectives used by audio publication reviewers), all while having the same -3dB roll-off point. But can one of the two speakers “sound” like it has lower bass extension? And what would contribute to this perception? I am a firm believer in the objective/subjective review. Some things are just not measurable with simple frequency and impedance graphs, and everyone has their own personal taste in speaker sound profiles. So, I understand that a reviewer may report a perception of lower bass extension. I am an electrical engineer and have a pretty good understanding what goes into creating sound, and the logarithmic nature of decibel measurements. 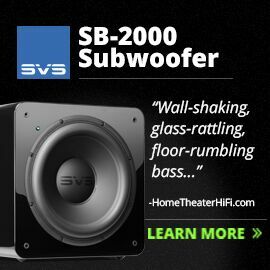 So, what gives with reviewers saying that a speaker has great low-bass extension? Okay, I guess that was more like four questions. My contenders [are the following]: Elac’s Debut 2.0 F5.2, [since] Andrew Jones says he likes to give up some efficiency as a tradeoff for low-frequency response; Paradigm’s Monitor SE 3000F, [as] I love the Canadian school of objective design, coupled with subjective listening; and Q Acoustics’ 3050, [which] I know [is] a two-way, but has gotten great reviews. Any other suggestions at this price point are welcome. P.S., I love your editorials and equipment reviews. You show a passion for helping others to see past the manufacturer marketing and reviewer B.S. Keep up the good work. If I could afford them, I would buy the Monitor Audio Bronze 6 speakers based on your review alone. There’s far too much here to adequately cover in a short response, but let me try to broadly address your questions. Loudspeaker manufacturers are often -- how can I put this delicately? -- creative in their listed specifications. The ±3dB points are welcome compared to some manufacturers who will list a frequency response without any qualification whatsoever. But is the frequency response with listed ±3dB points an anechoic measurement or “in-room”? If the latter, how big is the room, what are the dimensions, how was it treated, and where were the speakers set up within the room? While the listed frequency response may be a decent starting point when comparing different loudspeaker models, consumers should pay more attention to cabinet volume and driver radiating area if they’re trying to gauge how much bass extension they’re likely to hear. As for your “perception” question, psychoacoustics is a complicated thing. Moreover, everyone’s tastes differ, so a more fulsome bottom end may appeal to one listener, while another might prefer bass that’s lower in level, which can sometimes sound faster and tauter. Beauty is in the ear of the beholder. That’s a bit of a cop-out, I know, but when reading professional reviews, it’s more important to get an idea of what a speaker sounds like to see if it agrees with what you like, rather than skipping ahead to a pithy conclusion and noting whether it received something like our Reviewers’ Choice award, or some equivalent. My name is Florian. I just read your review of the KEF Q750, and I’m looking to buy a home cinema based on these speakers. [Possibly the] Q750 or the Q950 [floorstanding speakers] -- I haven’t decided yet -- and the Q650C [center-channel], and Q150/Q350 [bookshelf speakers]. I would like to know what [five-channel power] amplifier (€1000-€1500) I should buy for this system. Could you help? I am not familiar with many five-channel power amplifiers, as opposed to the far-more-common multichannel audio/video receivers (AVRs). That said, I was able to come up with a number of suggestions that might be available to you in France. Take note that all prices quoted are in US dollars and the power outputs are into 8 ohms. Marantz makes a killer-looking five-channel power amp called the MM7055. It retails for $1199 and purports to put out 140Wpc, which should be more than enough for your application. Anthem makes an amp called the PVA 5, which generates 125Wpc, but it retails for $1999. Finally, Rotel offers the RMB-1555, which makes 120Wpc, and retails for around $1700 here in the United States, though it may be more affordable in Europe. Devialet Gold Phantoms -- Good Decision? Sonus Faber Olympica I or Venere S? Review a Product from Kickstarter?